The KIP 860 is ideal for environments that require convenient multi-function productivity with a single footprint space-saving design. 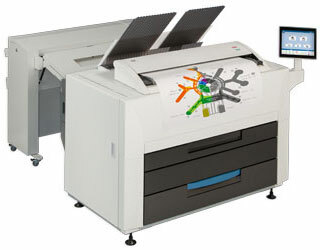 The print system provides high print quality and performance for wide format printing of technical and business graphics. Kip created with the new a new world directly at your fingertips. The KIP K Software allows an easy intuitive touchscreen navigation within all functions.